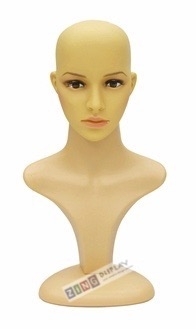 Realistic Female Mannequin Head Display. 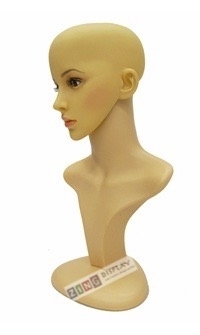 Our female display head is constructed from unbreakable plastic. Her head rotates a full 360 degrees. She has realistic facial features.